The competition for getting ahead of the gamers market is getting exciting as ASUS Philippines releases brand new and improved products to cater to gamers. 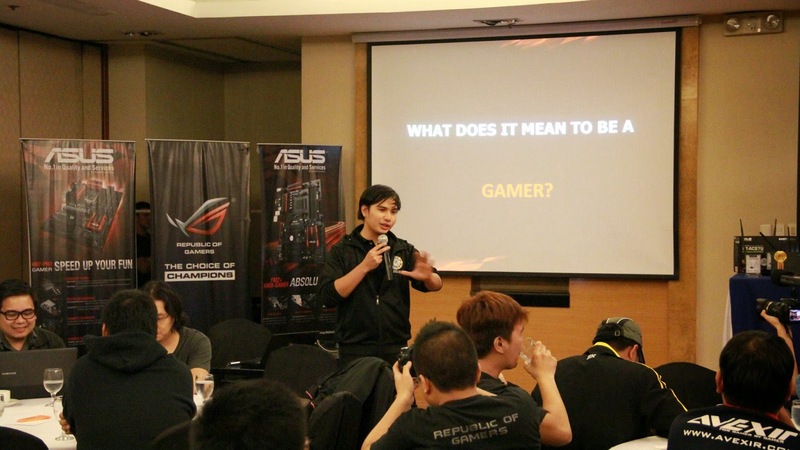 According to ASUS Philippines during the Gamers Gathering event that they would provide gamers with "true gaming." What does it mean to be a PRO GAMER? True gaming experience great graphics, immersive audio, inviting gameplay, reliable network. ASUS B85-PRO GAMER. This motherboard is equipped with SupremeFX Audio and Sonic Radar. Sonic Radar detects and scans where sounds are coming including the direction. It is also fine tuned with 3 presents based on major FPS game tiles plus one generic preset. Aside from that it will feature Intel Gigabit LAN which is dubbed as best fit for gaming. Another feature which is seen to solve game lag while launching other application is GameFirst II. GameFirst II prioritizes game over other applications which makes gaming times faster – latency greatly reduced even while executing other applications. Gamer's Guardian is also included which makes the whole system last longer despite the gaming stress. This is reinforced by 10K black metallic capacitors, enhanced DRAM over current protection, onboard Polyswitch, DIGI + VRM, stainless steel back I/O and AI Suite 3. H97 – PRO GAMER . If you want to play for speed then this is the model for you. It also has the basic gaming features plus has more controls, a 64-bit interface, more manageable user interface through M.2 and SATA Express Support. A88X GAMER (AMD). For those who still want to experience ASUS gaming quality then this is the option for you. Though it does not have Sonic Radar it comes with FM2. For ultimate gamers you can try ASUS Republic of Gamers (ROG) PCs. What is exciting about this is its KeyBot which makes key press by allowing you to shorten key in games like DOTA 2 and LOL. It also has Sonic Radar 2 and the best cooling design. What to expect from ASUS Philippines in the last quarter of 2014 and 2015. You might say ASUS Gaming devices are pretty expensive and you are right, however remember that a smarter buyer should go beyond purchase cost. So if you want to have savings for a longer time remember that Total Cost of Ownership = Purchase Cost + Operating Cost + Maintenance Cost. Thus, in the long run ASUS gaming devices provide move value for money. Thanks to ASUS Philippines for inviting us to the ASUS Gamers Gathering!